You must’ve heard the adage – don’t judge a book by its cover. Well, after using Dell’s latest gaming laptop for over a week, I can confidently say that the laptop is a true testament to the quote. From a distance, the laptop appears straight out of 2015. However, after spending some time with it, I can say that there’s much more than meets the eye. So much so, I actually feel confident recommending the laptop to gamers. Here’s why. 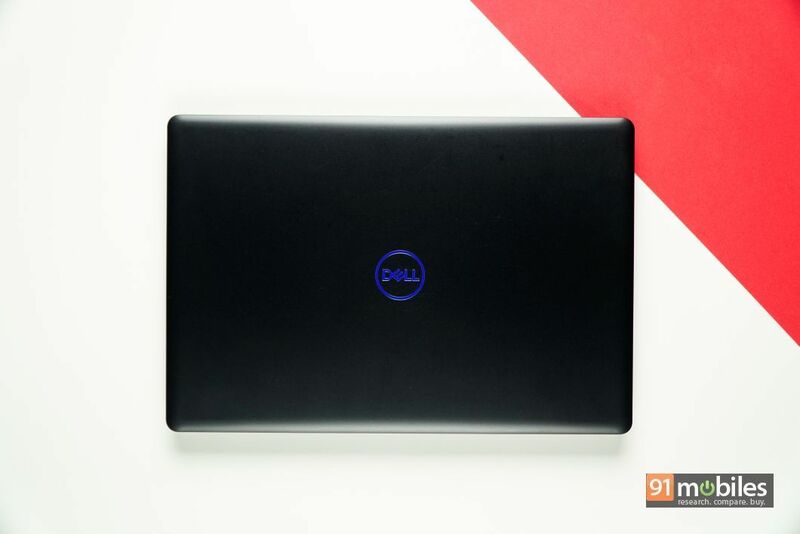 As I mentioned at the beginning of my review, the design of the Dell G3 is as bland as it gets and truth be told, several of my colleagues mistook the laptop for an old Inspiron. Honestly, I don’t blame them, as the laptop has been constructed in entirety using plastic which doesn’t do its design any favours. However, bear in mind that this is a sub-Rs 1 lakh gaming machine and Dell had to cut corners somewhere to bring the costs down. Now, while the laptop is ‘all substance no style’, it has been constructed well and despite the G3’s plasticky finish, it doesn’t come across as flimsy. Although there is noticeable flex around the keyboard and the display warps when the slightest pressure is applied to it, but so long as you don’t play catch with the device, I am certain that you won’t run into any cosmetic problems. Thankfully, the hinge mechanism feels extremely solid and it offers a lot of friction whilst opening the lid, which is a good thing. On the flip side, the laptop is quite thick and weighs in a whopping 2.5 kilos. Moreover, owing to the presence of thick bezels surrounding the machine’s display, the G3 appears bigger than most 15-inch gaming laptops. Coming back to the design of the laptop, the Dell G3 features a pinstripe design which canvases the entirety of the keyboard area. The pattern looks quite good and compliments the keyboard’s blue backlit nicely. 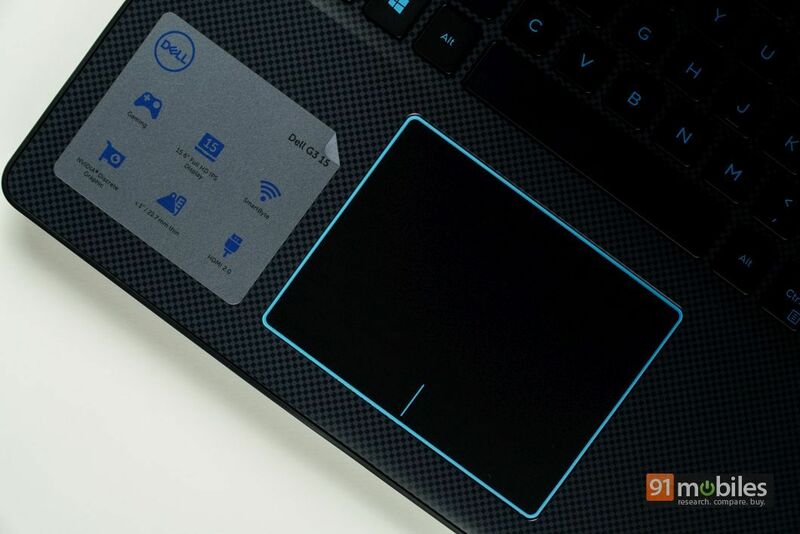 What’s more, while the laptop’s trackpad doesn’t ship with LEDs, it does get a blue accent along the borders, keeping it in line with the machine’s overall aesthetics. A fringe benefit of the G3’s beefy profile is that you’ll never run out of ports to plug your accessories into. The laptop features one USB 2.0 port, two USB 3.1 Type-A ports, one full-sized HDMI port, one Ethernet port and one SD card reader. I do wish that the device shipped with a USB Type-C port too, but I suppose beggars can’t be choosers. 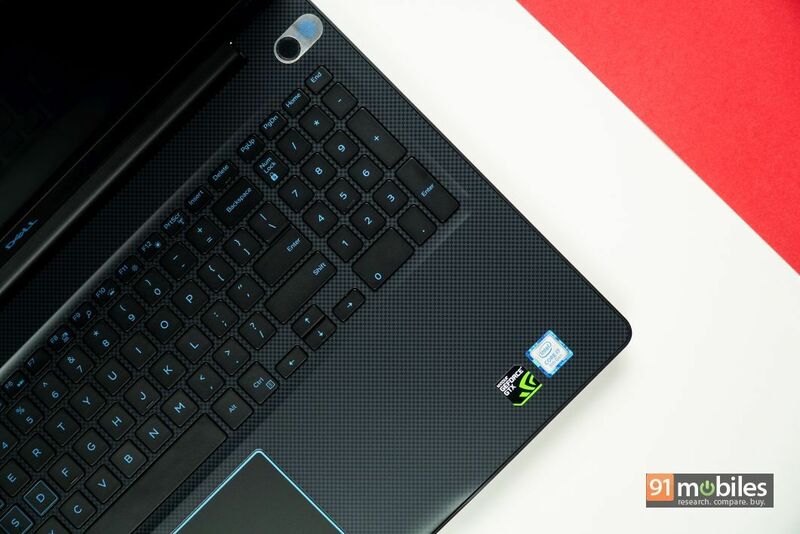 The G3 also comes with support for Windows Hello and features a fingerprint sensor embedded inside the power button, a feature which is lacking even on pricier gaming laptops. During my stint with the machine, I faced no issues with the accuracy or the speed of the fingerprint sensor and it allowed me to jump into my workflow in the blink of an eye. 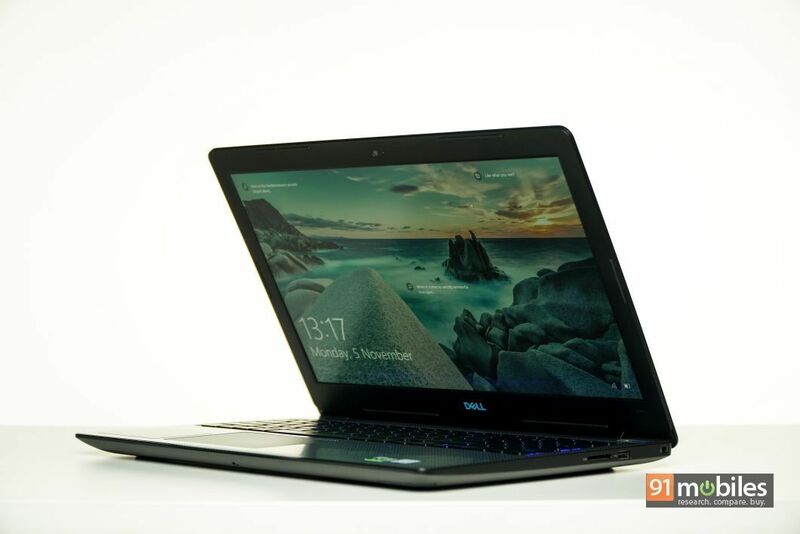 As for the display, the laptop comes equipped with a 15.6-inch, full HD, IPS panel with an anti-glare coating on top. Consequently, while the laptop’s display does a good job at reducing unwarranted reflections and glares, it doesn’t get too bright and exhibits slightly muted colours too. That said, the display boasts good viewing angles and I didn’t notice any colour shift issues when I tilted the lid up or down. 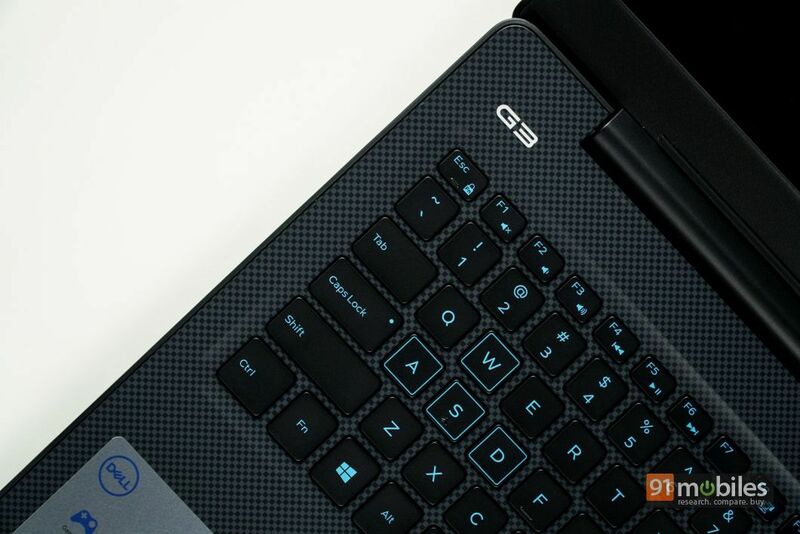 Judging by the G3’s thick chassis, you’d expect the laptop’s keyboard to offer plenty of key travel. However, that’s not the case here as the machine comes equipped with a chiclet style keyboard which is a fairly common affair in the laptop industry. That said, I thoroughly enjoyed typing on the machine as the keys were extremely tactile and they didn’t feel loose or wobbly to the touch. What’s more, owing to the laptop’s large footprint, the keys have been spaced well and you’ll even get a full-sized numeric pad positioned towards the right-hand side of the machine. As is the case with most gaming laptops, the G3’s keyboard is also backlit and the keys light up blue to compliment the laptop’s accents. The G3’s trackpad comes with support for Windows Precision drivers and therefore, you will be able to multitask efficiently on the machine by using various navigational gestures. 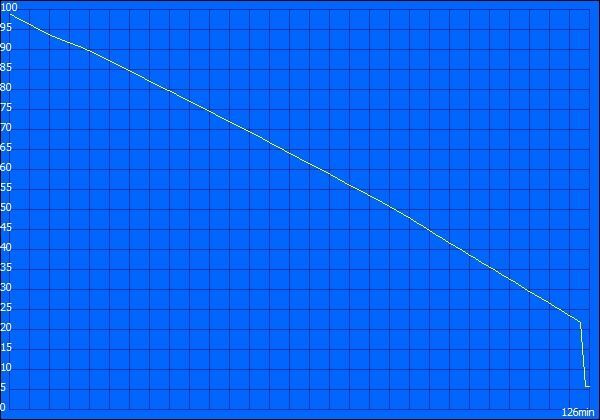 That said, the touchpad doesn’t ship with a glass surface and therefore, I noticed that it isn’t very accurate for tracking. As an example, scrolling and highlighting a specific word in a document feels like a chore on the machine and it’ll take you a couple of tries before you get it right. That being said, since Dell is targeting gamers with the G3, I am certain buyers will opt for a gaming mouse to go along with the machine. 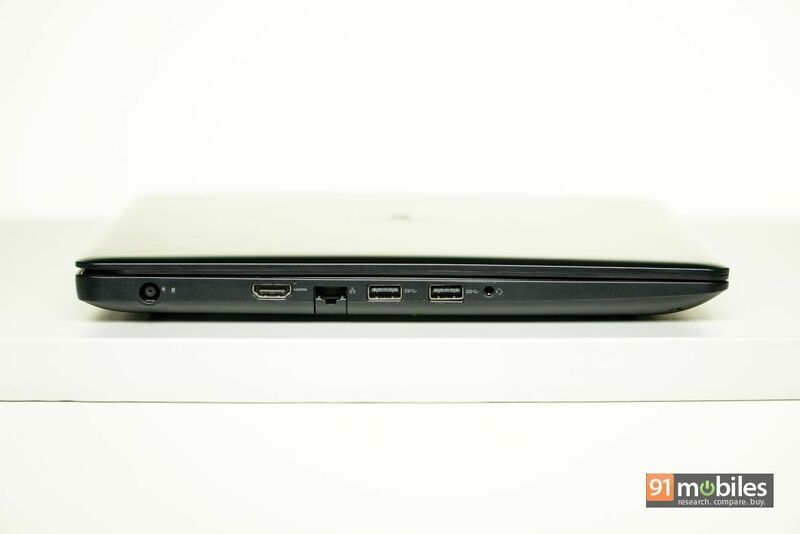 As for audio, the Dell G3 comes equipped with two front-firing speakers which have been positioned on the underside of the laptop’s chassis. The speakers get plenty loud and there are no noticeable reverberations either. Therefore, you will be able to easily drown the fan noise during intense gaming sessions. 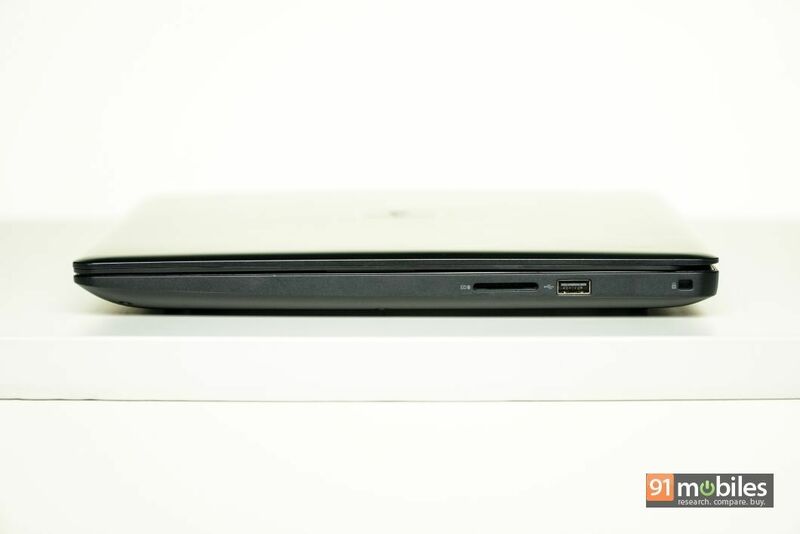 The laptop also comes with a 3.5mm headphone jack which offered a satisfactory output too – music sounded loud and my headphones didn’t pick up on any static noise either. 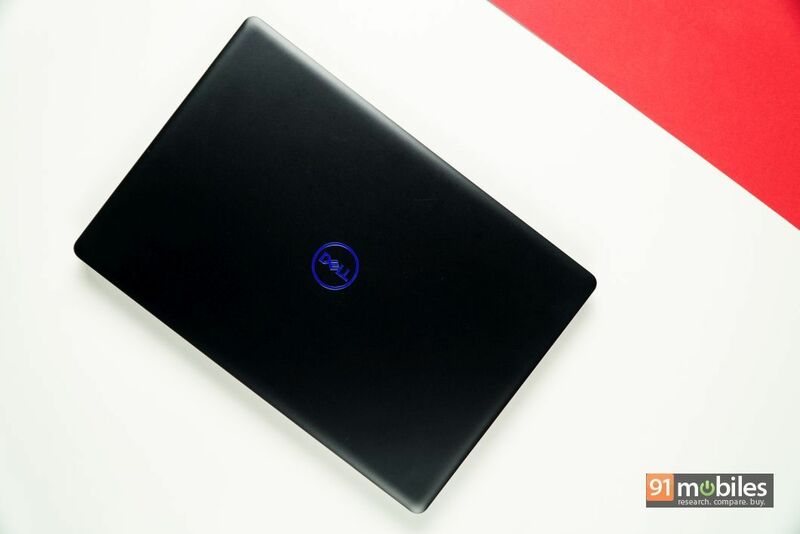 My review unit of the Dell G3 is souped up to the max (barring the memory) and therefore, I didn’t face any issues whilst gaming on the laptop. To put things into perspective, the unit I was sent for review sports an 8th gen Intel Core i7-8750H hexa-core processor which can turbo up to 4.1GHz. The processor works alongside 8GB of RAM which has been clocked at 2,666MHz and a combination of a 128GB SSD and a 1TB Hard Drive. For graphics, the unit comes equipped with Nvidia’s GTX 1050 Ti with 4GB of GDDR5 memory. For games, I tested the laptop with a slurry of titles including Witcher 3, PUBG and Just Cause 3. I could run both PUBG as well as Just Cause 3 on high graphics preset quite comfortably and I was averaging close to 60 fps in both the titles. However, Witcher 3 really put the machine through its paces and with the settings set to high at 1080p, I noticed the frames dwindle to the low 40’s during intense monster battles. I would like to point out that I had turned off Nvidia’s HairWorks AA while playing Witcher 3 on the laptop in order to enjoy the game’s gorgeous visuals at the best possible frame rates. Suffice it to say, the Dell G3 is more than capable of running the latest AAA titles at medium to high graphics settings comfortably. In terms of benchmarks, I tested the laptop with PCMark10, Cinebench R15 as well as CyrstalDiskMark to get a gauge on the performance of the laptop’s various components. 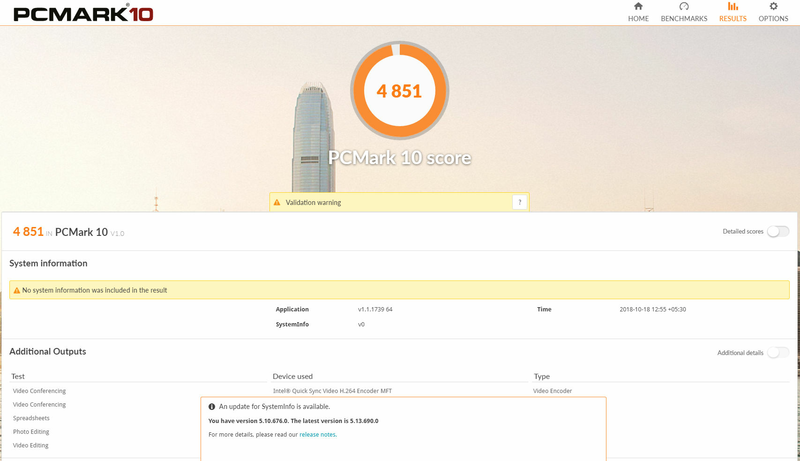 In PCMark 10, the laptop scored 4,851 points, which is significantly higher than the Core i5 toting Legion Y530 (review). In CineBench R15, the laptop’s hexa-core CPU performed admirably and secured 969 cb in the CPU test and 99.64fps in the OpenGL test. 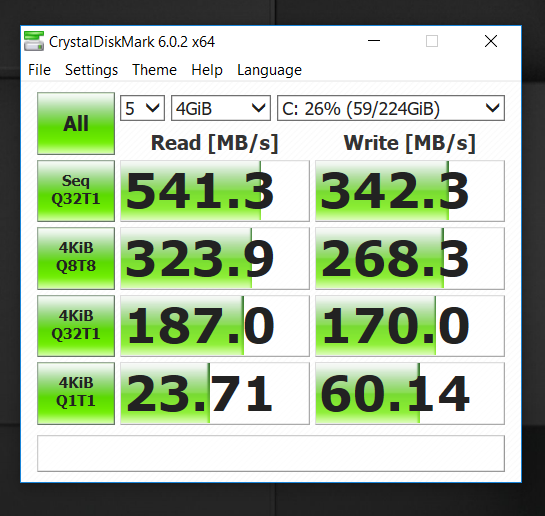 Unfortunately, the laptop’s SSD isn’t the quickest in the market and the G3 was able to achieve read and write speeds of just 541.3MB/s and 343.3MB/s respectively in CrystalDiskMark’s sequential tests. 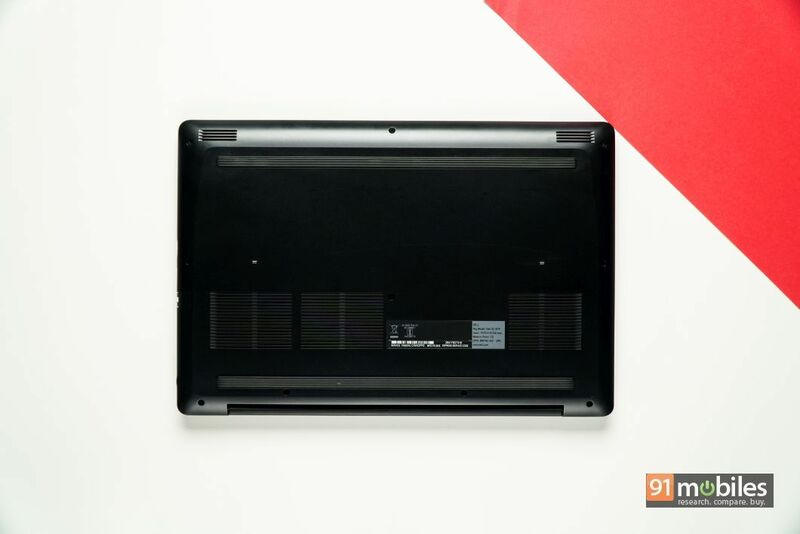 As for the battery life, the laptop comes equipped with a 56WHr cell which managed to last a little over two hours in BatteryEater Pro’s stress tests. During daily usage, I was able to get around four hours of battery life with the laptop with the brightness maxed out and the machine set on performance mode. Consequently, of the handful gaming laptops I’ve tested, the G3 has by far the best battery life. 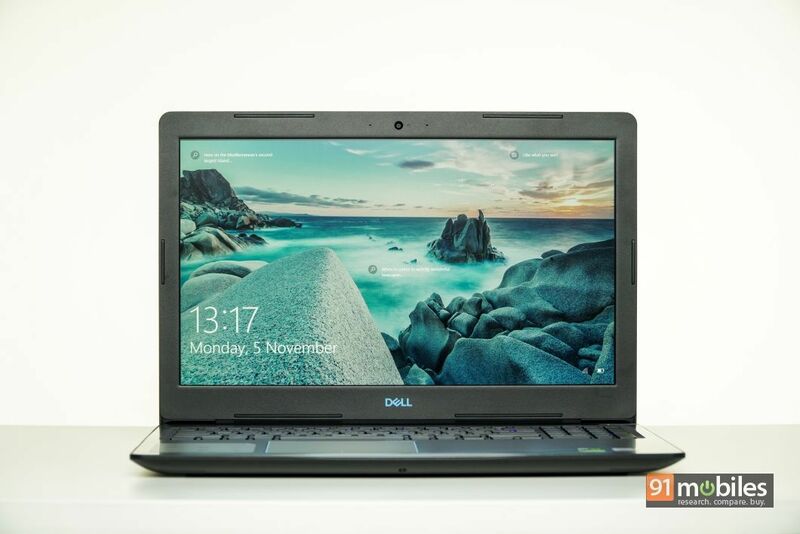 The Dell G3 starts at Rs 69,990 and depending upon the configuration you opt for, can set you back up to Rs 95K. 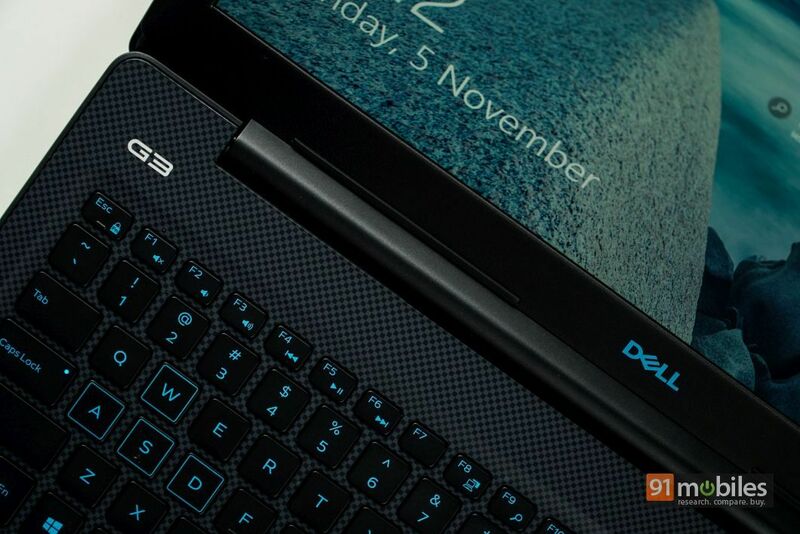 Now, the model I reviewed retails around Rs 83K and for its asking price, the laptop delivers on a lot of fronts. For starters, the machine can comfortably play most of the latest games at high graphics settings. Furthermore, unlike other gaming laptops, the G3 offers a respectable battery life, allowing you to stay away from the wall charger for longer. Lastly, the laptop offers a good selection of ports and I/O, and even comes with Windows Hello for biometric authentication. 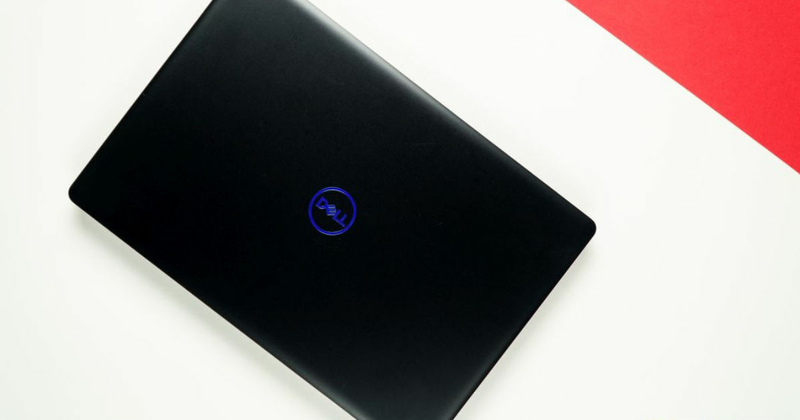 Although the laptop isn’t the flashiest machine in the market, Dell has cut just the right corners to strike a balance between cost and performance. Consequently, the laptop gets a big thumbs up from me.